Go West Trading’s Predator projectile for long range hunting and shooting transcends any current long-range projectile technology today. Unprecedented distances without destabilization make the Predator projectile capable of extending accurately effective range by 20 percent. Las Vegas, Nev. (September 2018) – Go West Trading (GWT), manufacturers of American-made rifle brass, have partnered with industry public relations firm, Laura Burgess Marketing (LBM) to create buzz around a ground-breaking development in rifle projectiles: the Predator. GWT, a team of entrepreneurs consisting of former military and law enforcement professionals with an extensive background in firearms and ammunition manufacturing, started the company to manufacture the highest quality, American-made rifle brass for civilians, law enforcement and the military. As the team developed their nine-step manufacturing process and created the ultimate long-range projectile in the Predator, they also partnered with American Reserve Munitions to load the projectiles. With several sales partners now carrying the Predator cartridge, GWT sought a public relations partner to get the word out about this new technology. In addition to their patented design or the Predator projectile, Go West Trading also has to additional ammunition tiers available: The Patriot for hunting and plinking and the Penetrator for law enforcement. 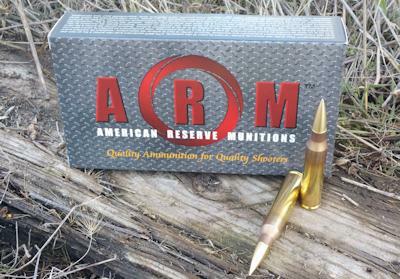 All three ammo tiers are available in .338, 6.5 Creedmoor, .260 Remington and .308. “Go West Trading needed only one more piece to the puzzle to go to market. We needed someone who had the ability to reach deep within our sports shooting market to reach media resources and the long-range shooting community. We knew we could do that with Laura Burgess Marketing,” Brian Lockerman, president of GWT, said. Headquartered in Las Vegas, Nevada, Go West Trading is a manufacturer dedicated to producing the finest American-made rifle brass using the toughest quality control standards available. 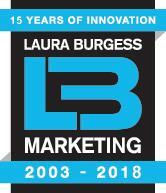 This entry was posted in Ammunition and tagged Go West Trading, Laura Burgess Marketing, LBM. Bookmark the permalink.